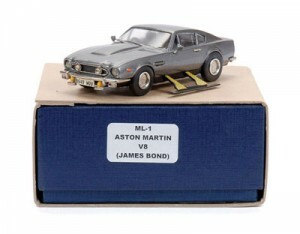 With the 50th Anniversary of the James Bond franchise, the release of Skyfall and the use once again of the Aston Martin DB5 as the Bond car we thought we would look at the toy and collectable cars that have been released over the years to tie-in with the James Bond movies. We are using a nice feature by James Riswick who has written on the Top 10 James Bond Cars. James Riswick has the Aston Martin DB5 as top, here at WCN we are split for looks with the DB5 and for the amazing chase and then turning into a submarine the fabulous Lotus Esprit S1. Also at 4 he has the BMW 750iL from Tomorrow Never Dies, yes a functional car for a spy but not for a Bond car. Was there really any doubt about No. 1? We could be controversial for the sake of being controversial, but how can you possibly go against the car that started it all? The car that didn’t just have a starring role in one film, but went on to appear in five others? The car dubbed the most famous in the world? Say “James Bond’s car,” and everyone knows which one you’re talking about. 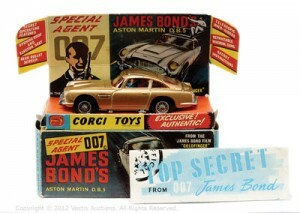 Pictured right: Corgi No.261 “James Bond” Aston Martin DB5 taken from the film “Goldfinger” – gold body, red interior with “James Bond & Bandit” figures. Sold for £150 at Vectis Auctions. Image Copyright Vectis. Now, the Aston Martin DB5 wasn’t really the first Bond car. In Dr. No he drove a Sunbeam Alpine and in most books he drove prewar Bentleys. However, the novel Goldfinger actually features an Aston Martin DB Mark III with a few special spy additions like a hidden gun compartment. For the movie, the filmmakers obviously had bigger ideas. Production Designer Ken Adam chose the latest Aston — the DB5 — to outfit with machine guns, an oil sprayer, tire shredders, rotating number plates, a tracking system and, of course, an ejector seat. Despite what you might suspect, Aston Martin didn’t bend over backward to help out. Eon Productions had to twist Aston’s arm just to “loan” the film a development prototype and there wasn’t any sort of product placement deal. The overwhelming publicity generated for Aston Martin by Goldfinger is a major reason such placement deals exist today. Not only did the car shortly thereafter feature in Thunderball, but it went on a worldwide tour to promote both films. 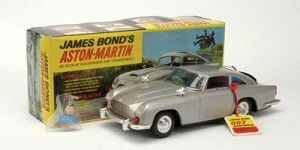 Pictured left: Gilbert No.16701 James Bond Tinplate Aston Martin DB5 – from the film Goldfinger and Thunderball, silver with plated trim, black bullet shield. Sold for £340 at Vectis Auctions. Image Copyright Vectis. The car itself would inspire all of the gadget-laden cars that came after it, and made a reappearance years later as the personal car of Pierce Brosnan’s Bond — albeit without the gadgets and a slightly different number plate (BMT 214A versus 216A). In Casino Royale, the modern Bond’s ownership of the car is explained when Daniel Craig wins it in a poker game. Like James Bond himself, the Aston Martin DB5 will return in Skyfall. The DB5 is the icon and the original, but if it were our choice for a spy car, the Lotus Esprit S1 featured in The Spy Who Loved Me would be it. Not only does it participate in one of the series’ best car chases, it tops it off by taking a plunge off a pier and turning into a submarine for an underwater boat chase. How cool is that? 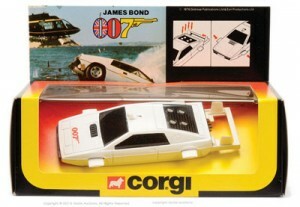 Pictured right: Corgi No.269 Lotus Esprit “James Bond” taken from the film “The Spy Who Loved Me” – white, black, with “007” bonnet label – Mint including harder to find late issue window box with detachable header card – comes complete with missiles attached to sprue. Sold at Vectis Auctions for £180. Image Copyright Vectis. Lotus provided seven vehicle “shells” that were used to create the submarine and show individual transformation elements. However, getting fully functional road-going cars proved more difficult. During the making of the film, the second unit realized the only other car that could keep up with the Esprit for car-to-car shots was another Esprit. As it was so early in the car’s production, they were informed that the only other one available was owned by Lotus Chairman Colin Chapman. He was only too happy to loan it to them. With Timothy Dalton taking over the part for 1987’s The Living Daylights, the Bond producers were eager to use elements that tied the film to those that came before it. At the same time, Aston Martin was facing hard times (not exactly an uncommon occurrence) and was thrilled to rekindle the relationship that had made it so famous. Pictured left: Western Models No.ML1 “James Bond” Aston Martin V8 taken from the film “The Living Daylights” – grey, chrome trim, complete with side skis – Mint including lift off lid box and outer carded sleeve – harder issue to find. Sold for £140 at Vectis Auctions, February 2010. Image Copyright Vectis. The Aston in question was a Volante that Q’s boys in the workshop somehow “winterize” to become a regular Vantage coupe. Probably best to overlook that one. Also best to overlook the fact that the car itself dated back to the original DBS that appeared in 1969’s On Her Majesty’s Secret Service. The Series 5, as it’s known, was still substantially enhanced over the years and now featured a 5.3-liter, 370-horsepower V8. It was also still gorgeous, still an Aston Martin, and it was also the first car since The Spy Who Loved Me to be laden with gadgets. Bond’s “winterized” Aston featured outrigger skis, spikes that deploy from the tires, lasers mounted in the wheel hubs, a rocket afterburner and missiles hidden behind the driving lights. The snow-bound mountain chase scene in Czechoslovakia is one of the most underrated in the series’ 50-year history. While the three cars above were all lust-worthy, there’s always that voice in the back of your head asking, “Would a secret agent really drive something that flashy?” Well, a 750iL is hardly anonymous, but it would certainly blend into a parking lot while still exuding that premium air expected from a James Bond car. It was also a classic, V12-powered BMW flagship sedan with a design that many view as the last good-looking 7 Series. 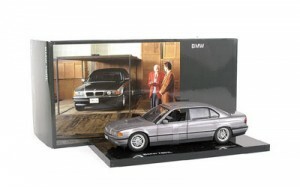 Pictured right: UT (Mini Champs) BMW 750iL taken from the film “Tomorrow Never Dies” – this 1/24th scale model is mounted on black plinth. Sold for £60 at Vectis Auctions, May 2003. Image Copyright Vectis. Q Branch’s idea of security also moved beyond simply blowing the car up (see No. 6). Windows were smash-proof, door handles were electrified, there were noxious gas canisters and Bond could retrieve the car using his mobile phone. That particular function made for a particularly unique chase where Pierce Brosnan’s Bond drives from the backseat. Some have said that 007 shouldn’t have driven German cars, but the ramshackle state of the British car industry in the late 1990s made sticking with the home team a little difficult. Could you really see 007 driving a Jag Vanden Plas? It wasn’t ideal and certainly the result of a lucrative product placement deal, but the brand and Bond were nevertheless a good fit. It seems only fitting that a new James Bond should be introduced in an equally new Aston Martin, and that’s exactly what happened during the pre-credits sequence of On Her Majesty’s Secret Service when George Lazenby chases down Diana Rigg’s Tracy di Vincenzo in his DBS. It was a nice enough car, but her red Mercury Cougar convertible is the bigger automotive star in this fan-favorite film. Pictured left: Corgi Rockets “James Bond” Mercury Cougar XR7 – Corgi Rockets “James Bond” Mercury Cougar XR7 – Tracy’s Car taken from the film “On Her Majesties Secret Service” – red, black roof, yellow interior and 4 x skies – overall condition is generally Near Mint – nice example. . Sold for £80 at Vectis Auctions, April 2008. Image Copyright Vectis. Little explanation should be needed as to why a classic 1969 Cougar XR-7 might be a memorable automobile. True, it’s the first car on our list without gadgets, but it makes up for that with more screen time and action than any of the cars below. With skis mounted to its trunk, the Cougar slips and slides between 6-foot snowbanks as it evades Ernst Stavro Blofeld’s Benz-driving henchmen through the Swiss Alps. To shake them off, Bond urges that they crash a snow-bound stock car race, where the Cougar takes a mighty beating, but emerges victorious after some pretty memorable powerslides to boot. The kicker: It’s Tracy doing all the driving. No wonder she ends up as Mrs. Bond. Truth be told, the Esprit Turbo did very little in For Your Eyes Only. A white one gets blown up by its own self-destruct system when some baddies try to break into it, while Roger Moore’s Bond drives another around the ski resort town of Cortina d’Ampezzo. However, there is something about that particular car that is just so incredibly cool — the deep red paint, the gold wheels and graphics, the white-letter tires and of course, the Olin Mark VI skis mounted to the back. Suppose there’s something about red sports cars and skis. This Esprit also represented a step up from the Esprit S1 featured four years earlier in The Spy Who Loved Me. OK, so it couldn’t turn into a submarine, but its four-cylinder engine was at least turbocharged to produce 210 hp. The S1 was only good for 160 hp in Europe, 140 in the States. Other enhancements included a strengthened chassis, redesigned rear suspension, a Giugiaro-designed body kit and some pretty spectacular rouched leather in place of the S1’s plaid cloth. This car also wasn’t driven by James Bond. Instead, Japanese S.I.S. agent Aki twice shows up to save an unsuspecting Bond from a nefarious end, then proceeds to show off some pretty impressive driving through Tokyo in her Toyota 2000GT roadster. Interestingly, though, Toyota didn’t actually sell a 2000GT roadster. Like the Lotus Esprit S1 and BMW Z3 after it, the 150-hp 2000GT wasn’t yet in full production. Toyota only intended to sell its first-ever sports car as a coupe, which was a problem. Not only would it make in-car filming difficult, but 6-foot-2 Sean Connery couldn’t actually fit in the thing. A simpler Targa-style roof was tried, but Connery’s head popping up above the roof line looked ridiculous. A roadster was the only solution and Toyota’s Toyopet Service Centre converted two coupes into roadsters in a mere two weeks. Well, they technically weren’t convertibles since there were no side windows and that black tonneau cover didn’t actually conceal a folding roof. But that’s the magic of the movies, and so, too, was the variety of communications gadgets added to the car, including a closed-circuit TV. Sean Connery’s Bond drives the Mach 1 as he and Tiffany Case (Jill St. John) evade the hapless police through downtown Las Vegas. Only The Blues Brothers challenges Diamonds Are Forever for 1970s land yacht police car carnage. Director Guy Hamilton hated American cars and was only too happy to destroy as many as he could while making them look ridiculous in the process. 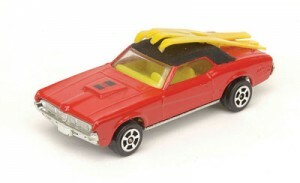 Ford happily lent the Bond producers eight revised-for-1971 Ford Mustang Mach 1s with the Sportsroof option. This was the last major restyling of the original Mustang and it included the car growing in almost every dimension. Thankfully, Case’s Mach 1 featured the 7.0-liter 375-hp Cobra Jet V8 that would disappear the following year. While the first part of the shot in the alley was filmed at Universal Studios, the emerging shot was filmed in Las Vegas by a different unit. Unfortunately, they did the shot on the driver-side wheels. Director Guy Hamilton didn’t seem to care much and was content adding a nonsensical in-car shot of the car rotating onto its opposite wheels while inside the alley. “To this very day, every time I see it, my heart goes in my mouth,” said the series’ long-time continuity “girl” Elaine Schreyeck in the documentary Inside Diamonds Are Forever. More noteworthy, though, is the Z8’s untimely end. We can still hear the groans in the theater as those helicopter saw blades sliced the beautiful roadster in two. Q is not going to like this, indeed. As painful as the last entry’s demise was, it couldn’t possibly match the spectacular end met by the Aston Martin DBS in Casino Royale. As Daniel Craig’s Bond chases down Vesper Lynd’s abductors on a dimly lit Montenegro mountain road, she suddenly appears lying bound in the middle of the road. Bond swerves to avoid her, flipping the DBS a record seven times before crashing down onto the grass. Accomplishing the stunt was more difficult than it appeared on film. No matter how hard the stunt drivers tried, the DBS simply was not going to lose control in such an epically disastrous manner. As such, a compressed air cannon fitted behind the driver seat fired a cylinder into the road when the driver swerved to avoid the actual stunt woman lying in the road. The results were better than anyone expected. The DBS featured in Quantum of Solace wasn’t exactly babied, either. In part driven by Ben “The Stig” Collins, this DBS participates in a wild chase around Italy’s Lake Garda and inside a quarry. Though it didn’t feature in the movie, one of the many cars used in the chase accidentally plunged into the lake after stunt driver Fraser Dunn lost control, smashed through a rather flimsy protective railing and dropped 8 meters into the drink. He survived relatively unscathed, but the car had to be salvaged from 55 meters down.